It is important to observe "best practices" when it comes to building your email lists. Never use a purchase list as this is guaranteed to get noticed by ISP's who in turn can block you from sending ANY email from the system. Double-opt-in email lists require a user to complete your signup form, then to confirm their intent by clicking a confirmation link. 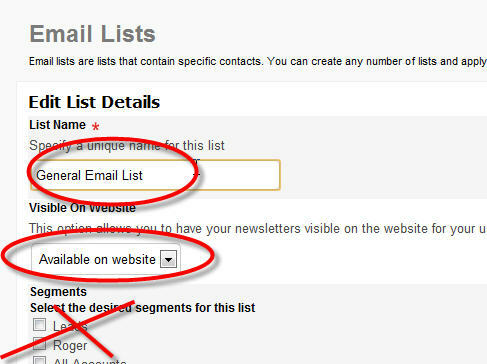 This makes sure know one can signup anyone else for a list, and the user has taken 2 steps to join your list reducing the chance they will in the future forget and report your newsletters as spam. This will place the signup form on the page. That's it. 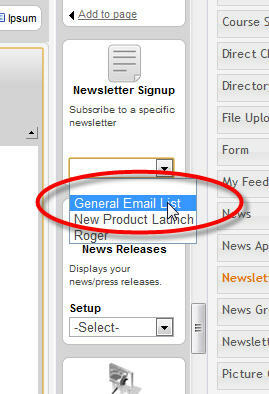 Once you publish the page, the form will be ready for users to join your email list! 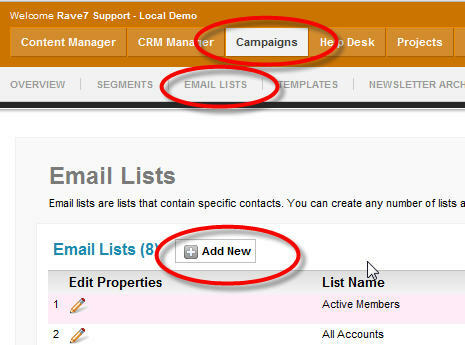 When a user completes the cycle and joins a list, the lead_source field in the CRM Database will be set to "Opt-In". This will allow you to easily use these records in your segments.